Cancer researches spanning decades, have shown evidence on the substantial role of a well-balanced diet in reducing cancer risk. Most significant studies of cancer and nutrition emphasize on the importance of a healthy diet in keeping cancer risk at bay. 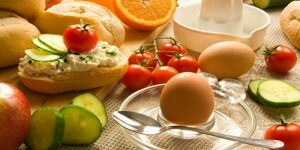 A properly planned diet is probably the easiest and reasonable way to reduce the risks of cancer. All the studies by cancer experts point to the importance of plant-based foods in fighting cancer, owing to their phytonutrients and other such special composites. As per experts, the ideal situation is to have two-thirds of plane-based food in your diet in order to nullify the effects of saturated fat in other foods. Although it seems simple, this requires a drastic change in your overall diet. It is advisable to go for a long-term diet plan inclusive of major cancer-fighting foods, instead of just going for short-term remedies. This food group includes vegetables from the cabbage family such as broccoli, cauliflower, kale, cabbage, Brussels sprouts and turnip greens. Studies have proved that these vegetables possess some cancer-killing properties when they are cut or chewed. As per expert studies, these vegetables have exceptional results against colon and prostate cancers. These vegetables are able to release an antioxidant called sulforaphane when chewing. This is very effective against colon polyp condition related to colon cancer and also works against prostrate tumors. Recent studies emphasized the positive effects of these vegetables, especially broccoli against these cancers. 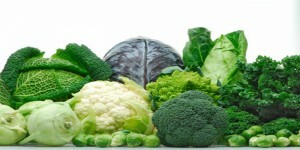 The cancer-resisting effects of cruciferous vegetables are seen when they are cut or chewed. Hence, consuming them as whole doesn’t help; you can instead add them as cut pieces in salads, stir fry or as side dishes. Lemon and garlic can be used to enhance flavor and taste of these vegetables. B vitamin rich foods usually have folate in them. Besides many cereals fortified with folate, you can find folate in foods like Brussels sprouts, asparagus, orange, peanuts, spinach, dried beans and many more. When a person has low folate levels, they are more likely to have DNA mutations, so sufficient levels of folate can fight against such mutations. Studies conducted in male smokers have shown positive results of folate food intake against pancreatic cancer. Men who consumed 400 mg of daily folate intake cut down their risk of developing pancreatic cancer by half. You can consume folate in a number of ways starting with your breakfast. A glass of orange juice is a good way to start with followed by your daily bowl of cereal. Just ensure that your cereal brand is fortified with folate from the pack. You can also have salad with romaine leaves and spinach and toss it with peas or dried beans to make it a wholesome meal. You can have a side dish of Brussels sprouts or asparagus for dinner and you can snack on a handful of peanuts or an orange. While sipping your daily cup of tea, you may unknowingly consume certain cancer fighting agents as well. Some ingredients in tea like flavonides are excellent antioxidants, which work against cancer. Especially kaempferol, a specific flavonide in tea is proved to have exceptional cancer-preventing effects. A massive study performed in women showed that those who have consumed large quantities of kaempferol have cut down the risk of developing ovarian cancer considerably. As per experts, an approximate quantity of 12 mg kaempferol found in four cups of tea, is sufficient to protect you against cancer. Some other studies indicate that adequate intake of flavonides can help postmenopausal women, by cutting down their risk of developing breast cancer. You can enjoy a cup of tea at any time of the day, a hot cup of tea can warm up winter days and iced tea is ideal for hot summer days. 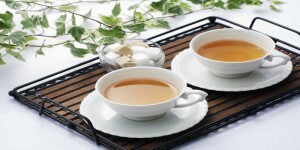 Enjoy your cup of tea in all seasons and minimize your cancer risks. Researchers state that Vitamin D can reduce the growth of cancerous cells. Vitamin D is fat soluble and it helps your body to absorb calcium which is essential for strong teeth and bones. This helps to create resistance against cancer. The American Association for Cancer Research publishes a report which shows an adequate intake of vitamin D can lower the breast cancer risk by half. Some other studies also showed improved survival rates among lung cancer patients, who consumed higher levels of vitamin D.
A daily intake of 1000 IU vitamin D is considered ideal for men and women by recent expert studies. 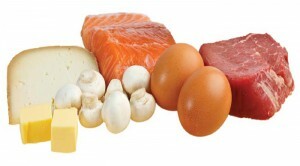 Milk and eggs are rich sources of vitamin D and so are seafood items. Chinook Salmon, cod and Shrimp have enough vitamin D content. Exposed in the sun at least for 10 minutes can provide you with as much as 5000 IU of vitamin D, with 40% of your body exposed to sun. While detailed studies of ginger’s ability to fight cancer are still in progress, many experts proved its cancer cell killing effects. 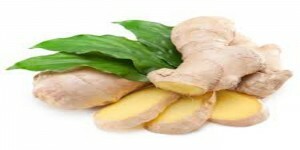 Ginger has the ability to kill cancer cells in two ways; apoptosis, in which the cells commit suicide without damaging adjacent cells and autophagy, in which cancer cells are trapped to digest themselves. Since many women with ovarian cancer usually develop resistance against standard chemotherapy drugs, researchers are hopeful to use ginger’s cancer cell killing abilities to help them. Although the exact cancer killing effects are not tested yet, ginger can be included in your diet as it is non-toxic. You can consume ginger in numerous ways such as zesty sauces, various soups and sumptuous marinades. Daily intakes of ginger as sipping ginger ale or munching gingerbread cookies are also advisable. Curcumin has excellent anti-inflammatory effects and this aids to its ability to fight cancer. Along with its zesty flavor, it can suppress transformation, spreading, and attack of cancerous cells. Many studies showed its positive effects against gastrointestinal and bladder cancers. Since inflammation is the major facilitator of most cancers, curcumins effects are useful against other cancers as well. Curcumin is one of the main ingredients in Indian curry powders which add spiciness and flavor. It goes famously well with lentils, chicken and various rice dishes. You can also sprinkle its yellow, bright powder to add color to your dish. The above mentioned food items are identified by experts which can work effectively against cancerous effects. Although not limited to these, various food items supplemented with numerous nutrients, are suggested by experts as an extremely effective way of fighting cancer and its effects.